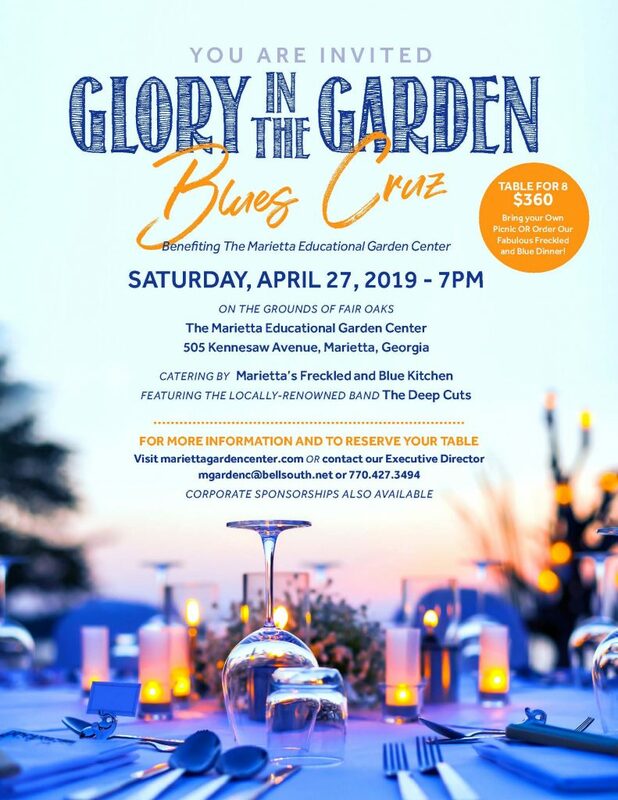 Tables are now on sale for this year’s Glory in the Garden celebration at the Marietta Educational Garden Center. Please join us on Saturday, April 27, 2019 for a fabulous night under the stars with good friends, great food and amazing music! Don’t miss it! 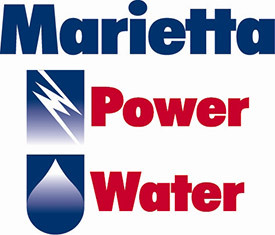 Your purchase of a table or corporate sponsorship helps to ensure that the Marietta Educational Garden Center will remain a vibrant community asset for generations to come. And for that, we thank you. There are multiple support levels for every budget – Corporate Sponsorships with lots of nice perks to personal tables for eight guests. All tables are available for purchase until we sell out and can be purchased in the Garden Center office, by phone and securely online. Please see the sidebar to the right for everything you need to know. This year’s table decorating contest theme is “Blues Cruz”, evoking thoughts of lazy summer nights and great music. Don’t forget that we reward the best tables with prizes and more importantly, bragging rights for a whole year! See our FAQ for all the theme categories. For those who want to dance the night away, we’ve got you covered. The Deep Cuts will play a great variety of your favorite songs and will provide a musical backdrop for this fun evening! So, gather up your friends for what is sure to be a memorable evening highlighting the Garden Center and the beautiful grounds of Fair Oaks. We can’t wait to see you there!